Welcome to the Instructional Technology page of the Washington-Lee High School webpage. 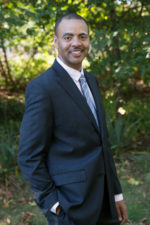 Craig Spraggins is the Instructional Technology Coordinator (ITC) at Washington-Lee and is a long tenured employee of Arlington County Public Schools. Craig is a member of the Virginia Society of Technology in Education (VSTE) and the International Society for Education in Technology (ISTE) where he is very involved in the continued evolution of making the use of technology meaningful in the lives of all our students. View the items on this page provided for the appropriate use of the at-large community, staff, and students of Arlington County, Virginia and beyond. Use any of the contact means below in order to communicate with Craig regarding the use of instructional technologies in the classroom.